Discussion in 'Buy Sell Auction - Archives' started by tgrlily, Jan 8, 2011. I'm pleased to offer for the first time 12+ eggs from my Lavender Project Orpingtons! My incubators are full & the girls are laying up a storm. 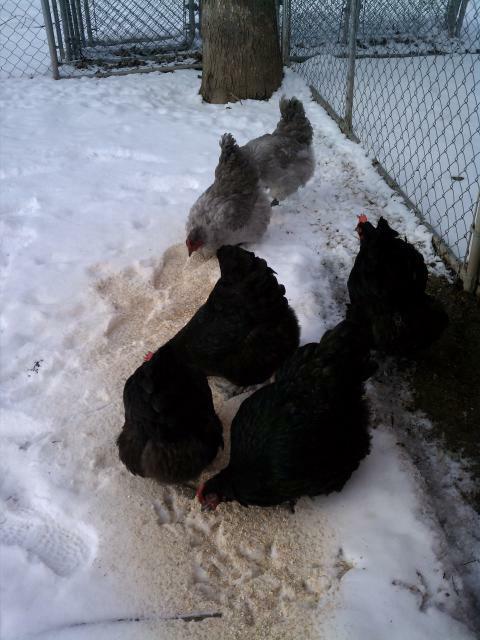 The pics were taken last week... they had to be bribed to go outside their nice warm coop. I was trying to set this up to end Sunday night, if an administrator can help fix this, please let me know. If not, looks like it's a 24 hour auction! 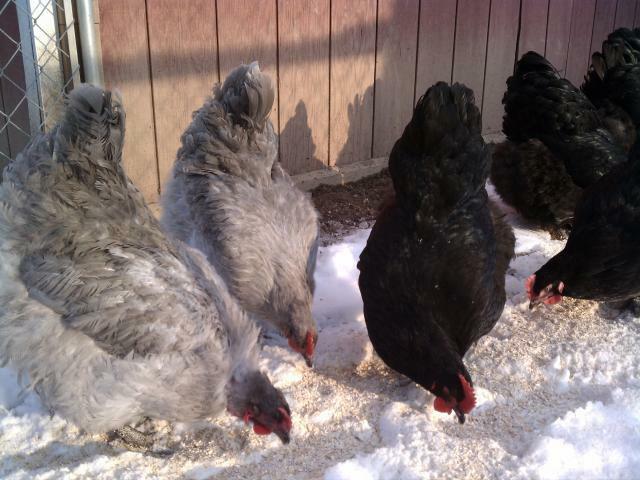 I have 2 beautiful Lavender roosters over 2 Lavender pullets and 4 stunning black hens. The Lav pullets & cockerel are my 2nd generation from hinkjc, the older is an enormous rooster who took a very long ride here from Pennsylvania! Thanks, Jody & Charlie! The mother of my younger lavenders is a split who won Best of Breed & Best English at the NYS Fair. 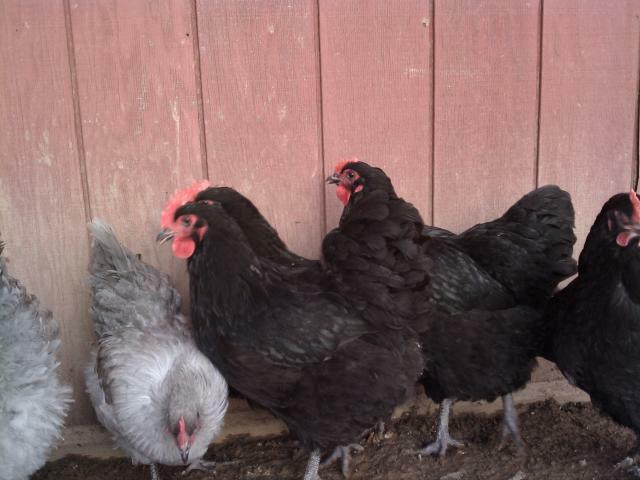 My Black Orpingtons are from jmhappycowboy whose blacks are from bamachicken. We feel it's very important to continue to improve the breed & because we show, we only keep exhibition quality birds. I'm using these beautiful black Orps to improve on the body type and the size of the Lavenders, which are already very good. 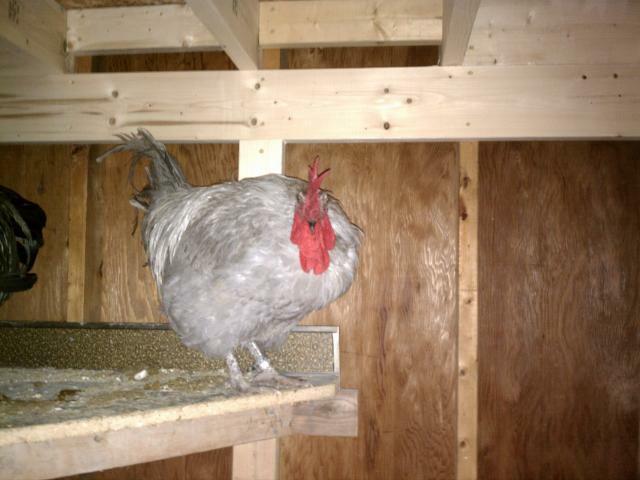 I'm getting three to six eggs per day from their pen. Approximately one third of the chicks will be visually lavender and the rest will carry the lavender gene. 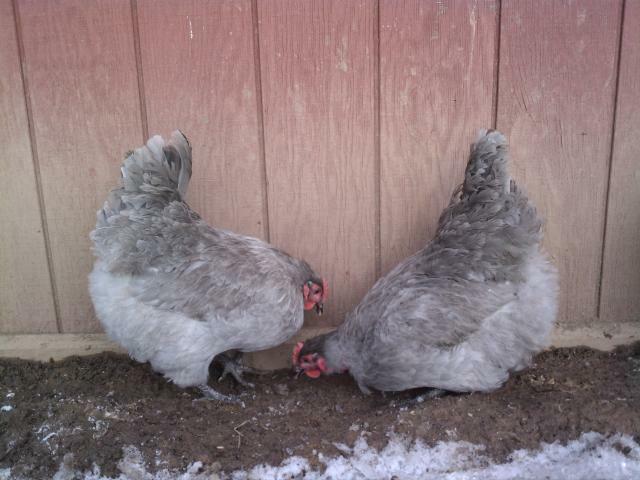 When bred back to a lavender rooster, half of the chicks of the splits will be lavender. 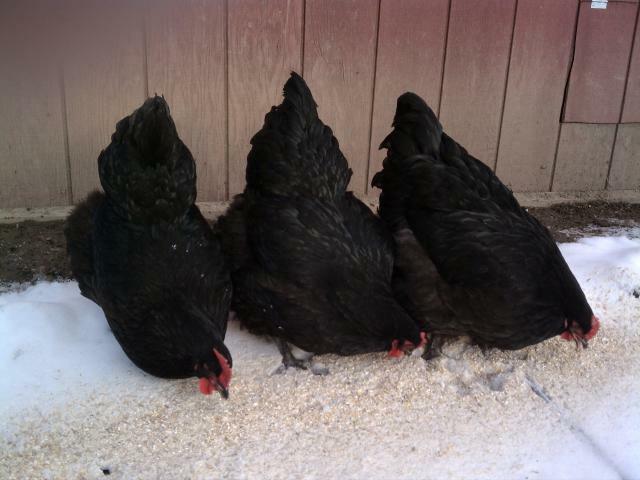 I will be offering both the split and lavender chicks in the spring. We have excellent fertility here, but can't guarantee how the USPS will handle them. I pack eggs the way I prefer to recieve them & only send the freshest ones. I'll individually wrap each egg in a generous amount of bubblewrap, then nestle them snugly in shredded newspaper with another layer of bubblewrap lining the box to cushion them. They'll ship out priority mail on Monday directly from the Syracuse hub to save shipping time. Paypal only, please. As of this morning, there are now 15 eggs! Too rich for my blood...nice birds!